A cool roof can substantially reduce the energy consumed in cooling your home. Homeowners looking to protect their homes and save on energy will find a lot to love about our Cool Roof Coating Systems. Built with the latest technology, a CRSM Cool Roof will lower your energy bills while extending the life of your roof for years to come. A Cool Roof is designed to reflect and emit the sun’s energy back to the sky in the form of light instead of allowing it to enter your home in the form of heat. 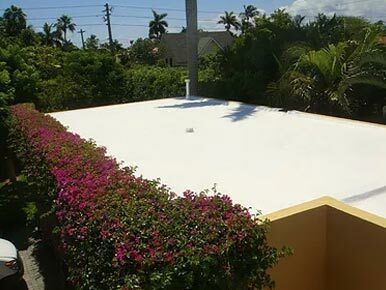 In hot climate zones such as Florida, a cool roof can substantially reduce the energy consumed in cooling your home, while providing several direct benefits to you including increased comfort inside your home especially during hot summer months, reduced air conditioning use and energy savings of 10 to 30 percent on average. Cool Roofs also benefit the environment by reducing the energy used in air conditioning your home and the green house emissions that result from high energy use.